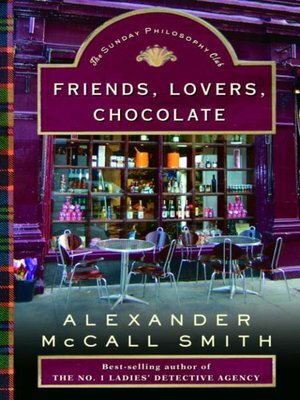 In this delightful second installment in Alexander McCall Smith's bestselling detective series, the irrepressibly curious Isabel Dalhousie gets caught up in a highly unusual affair of the heart. When Isabel is asked to cover for vacationing Cat at her delicatessen, Isabel meets a man with a most interesting problem. He recently had a heart transplant and is suddenly haunted by memories of events that never happened to him.The situation piques her insatiable curiosity: Could the memories be connected with the donor's demise? Naturally, Isabel's friend Jamie thinks it is none of Isabel's business. Meanwhile, Grace, Isabel's housekeeper, has become infatuated with a man at her spiritualist meeting, and Cat brings home an Italian lothario. That makes for some particularly tricky problems--both practical and philosophical--for Isabel to unravel in this enormously engaging and highly unusual mystery.